For millennia the world was seen as a creative, interconnected web of life, constantly growing, developing, and restoring itself. But with the arrival of the Scientific Revolution in the 16th and 17th centuries, the world was viewed as a lifeless, clock­like mechanism, bound by the laws of classical physics. Intelligence was a trait ascribed solely to human beings, and thus humanity was viewed as superior to and separate from nature. Today new scientific discoveries are reviving the ancient philosophy of a living, interconnected cosmos, and humanity is learning from and collaborating with nature’s intelligence in new, life-enhancing ways, from ecological design to biomimicry. 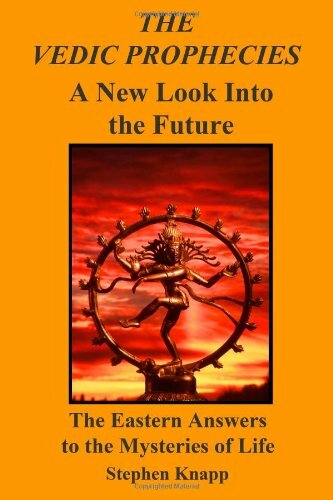 Drawing upon the most important scientific discoveries of recent times, David Fideler explores the self-organizing intelligence at the heart of nature and humanity’s place in the cosmic pattern. He examines the ancient vision of the living cosmos from its roots in the “world soul” of the Greeks and the alchemical tradition, to its eclipse during the Scientific Revolution, to its return today. He explains how the mechanistic worldview led to humanity’s profound sense of alienation, for if the universe only functioned as a machine, there was no longer any room for genuine creativity or spontaneity. He shows how this isn’t the case and how, even at the molecular level, natural systems engage in self-organization, self-preservation, and creative problem solving, mirroring the ancient idea of a creative intelligence that exists deep within the heart of nature. Revealing new connections between science, religion, and culture, Fideler explores how to reengage our creative partnership with nature and new ways to collaborate with nature’s intelligence. What do atoms have to do with your life? 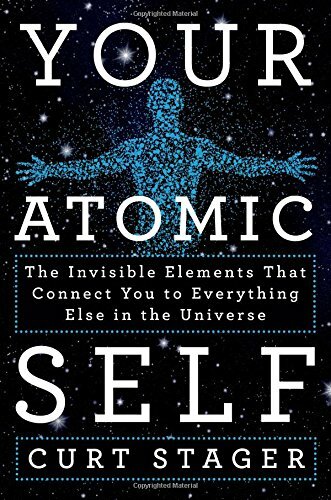 In Your Atomic Self, scientist Curt Stager reveals how they connect you to some of the most amazing things in the universe. Curt Stager was born in Lancaster, PA, in 1956, spent most of his youth in Manchester, CT, and attended Bowdoin College and Duke University. Since 1987, he has been a professor of natural sciences at Paul Smith’s College in the Adirondack Mountains of upstate New York, where he also enjoys playing banjo and guitar, skiing the backcountry, and co-hosting “Natural Selections,” a weekly science program on North Country Public Radio. For more information about Curt, his research, radio show, or his writings, visit http://www.curtstager.com, or his “Save The Carbon” blog at http://www.savethecarbon.blogspot.com. In this very personal discussion of his training as a potter, Rupert describes his understanding of the artistic process. Based on a new scientific paradigm in sync with experience-based spirituality, Ervin Laszlo and Anthony Peake explore how consciousness is continually present in the cosmos and can exist without connection to a living organism. They examine the rapidly growing body of scientific evidence supporting the continuity of consciousness, including near-death experiences, after-death communication, reincarnation, and neurosensory information received in altered states. They explain how the persistence of consciousness beyond the demise of the body means that, in essence, we are not mortal–we continue to exist even when our physical existence has come to an end. This correlates precisely with cutting-edge physics, which posits that things in our plane of time and space are not intrinsically real but are manifestations of a hidden dimension where they exist in the form of superstrings, information fields, and energy matrices. Ervin Laszlo is a systems scientist, integral theorist, and classical pianist. Twice nominated for the Nobel Peace Prize, he is the founder and president of the international think tank the Club of Budapest as well as the Ervin Laszlo Center for Advanced Study. He lives in Tuscany. Anthony Peake is a writer, researcher, and author of 7 books, including Making Sense of Near-Death Experiences, which received a “highly commended” award from the British Medical Association. He lives in Crawley, West Sussex, U.K. The extraordinary science of what happens when we die. Can there ever be a scientifically satisfactory explanation as to what happens to human consciousness at the point of death? Anthony Peake, acclaimed author on the matter of consciousness, believes there is. Pulling together the latest evidence from the fields of quantum physics, neurology, consciousness studies and psychology, Peake presents a compelling, original theory to explain what exactly happens when we die. EBTV presents host Evita Ochel (http://www.evitaochel.com) with returning guest Anthony Peake (http://www.anthonypeake.com) in a dialogue about the nature and immortality of consciousness. Anthony Peake is a researcher, writer and speaker who deals with borderline areas of human consciousness. He is the author of 8 books. His newest releases include “The Infinite Mindfield: the quest to find the gateway to higher consciousness” and “The Immortal Mind: Science and the Continuity of Consciousness Beyond the Brain” which he co-authored with Ervin Laszlo. – does consciousness really exist? On October 23, 2014 there will be a solar eclipse in Libra, in the Nakshatra of Chitra. This eclipse will be the last one in Libra for the next 8 to 10 years. Major relationship themes will once again predominate. But now there will be a sense of closure and moving on possible. Since the end of 2011, when Saturn entered Libra, there has been a lot of relationship/social pressure. This eclipse is bringing closure to the confusion and difficulty we have been through in our personal relationships since the end of 2011. In particular, since the beginning of 2013 through the summer of 2014 there was pressure, confusion and identity shifts in relation to others / satisfying our mutual desires with them. The sun is experiencing a lot of difficulty, being eclipsed in Libra – Where it is both of eclipsed by the North node and in its sign of debilitation. However, it is also joined its ruler Venus and an exalted Saturn. So, even though our individual identity may be feeling at its lowest (debilitated Sun in Libra), there is a lot of assistance from others (Venus) and greater willingness to work hard to preserve connection (Saturn exalted in Libra). Both Mercury and Jupiter are exalted now. Jupiter has been since early summer, anchoring our teachings and inspirations in the heart. Mercury has gone retrograde into Virgo, the sign he rules and where he is exalted, which brings a lot of clarity to the confusion of Rahu issues, as he eclipses the sun. For the most part, there could be a lot of lucidity, flexibility and lightness, as these heavy relationship themes untangle for this final eclipse in Libra. This Eclipse happens in the Nakshatra of Chitra, ruled by Vishwa Karma, the divine architect. In fact, the sun, the moon, Venus and Rahu are all in Chitra. This is a vibrant, creative Nakshatra often seen in the charts of artists, architects, musicians and those who want to build/create something enduring. In Libra, there is more emphasis on creating things that have a social component or that benefits one personally. In Infinite Potential, physical chemist Lothar Schäfer presents a stunning view of the universe as interconnected, nonmaterial, composed of a field of infinite potential, and conscious. With his own research as well as that of some of the most distinguished scientists of our time, Schäfer moves us from a reality of Darwinian competition to cooperation, a meaningless universe to a meaningful one, and a disconnected, isolated existence to an interconnected one. In so doing, he shows us that our potential is infinite and calls us to live in accordance with the order of the universe, creating a society based on the cosmic principle of connection, emphasizing cooperation and community. Lothar Schäfer is the author of In Search of Divine Reality: Science as a Source of Inspiration and is a distinguished professor of physical chemistry (emeritus) at the University of Arkansas. Dr Deepak Chopra sits with Soul Sessions founder Eloise King to discuss the nature of technology and how it’s effecting our consciousness; who or what God is; and your place in it all. Panache Desai is a contemporary thought leader and author whose message of love and acceptance has drawn thousands of people from around the world to his seminars and workshops. Not aligned with any religious or spiritual tradition, he empowers people to free themselves of pain, suffering, sadness, and self-limiting beliefs. After a profoundly transformative experience more than a decade ago, he has committed his life to being a spiritual teacher empowering humanity in the deepest states of connection and awareness and helping people everywhere to directly experience divine consciousness for themselves. A highly sought-after speaker featured regularly in print, broadcast media, and online, Panache has appeared with Oprah Winfrey on the Emmy® Award-winning OWN series, Super Soul Sunday and was featured on their 2013 season finale, Soul 2 Soul: Asking Life’s Big Questions. He is a featured speaker OMEGA Institute for Holistic Studies and the Kripalu Center for Yoga and Health; he has addressed the United Nations Enlightenment Society; and in Spring 2014 he was a featured speaker at The Third Metric Conferences, hosted by Arianna Huffington and Mika Brzezinski. Panache has also collaborated with internationally recognized spiritual teachers including Reverend Michael Bernard Beckwith, Elizabeth Lesser, Brian Weiss, MD, James Van Praagh, Ram Dass, Alan Cohen, James Redfield, Colette Baron-Reid and Neale Donald Walsch. your life choices can make global sense. Against a backdrop of climate change, political upheaval and economic instability, The Dawn of Global Sense reveals how authority addiction and alpha male rule have driven us to ravage our planet and sacrifice liberty for security. Offering real hope, journalist Judah Freed proves that an awakening into global consciousness is reaching a tipping point — empowering us to change the world from within ourselves. Through stories from his life and from history, Freed masterfully exposes the roots of tyranny and shows how enlightenment is spreading. He documents the growing ranks of people who realize everything we think, feel, say, and do impacts ourselves and our world. Drawing on Thomas Paine’s Common Sense, The Dawn of Global Sense unites the ideas behind personal sovereignty, social responsibility, open democracy, and ecological renewal. Judah Freed brings our highest ideals down to earth where we can use them. 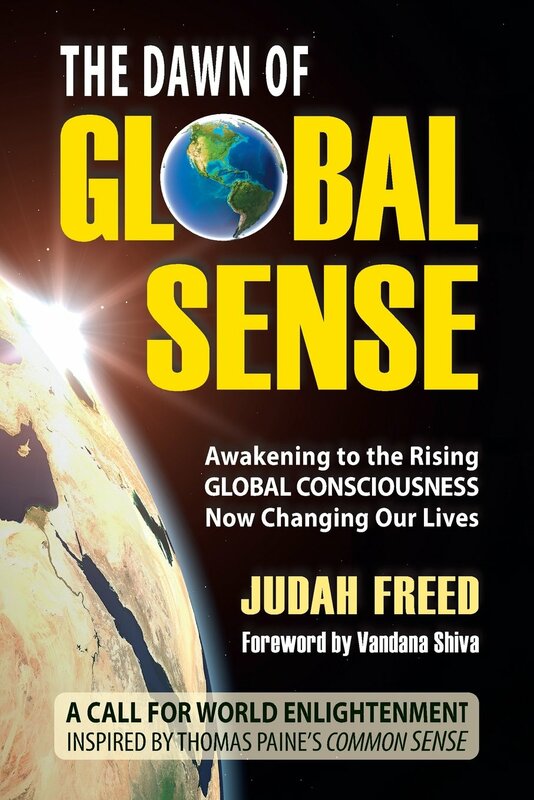 The Dawn of Global Sense is Judah Freed’s fourth book. His prior nonfiction books have won two Nautilus Awards for best social change book and an Evvy Award for best personal growth book. Judah is a past president of the Colorado Authors League, former trade shows chair of the Colorado Independent Publishers Association, a former director of the Denver Press Club, and founder of the 900-member Denver Book Club. He is a member of the Independent Book Publishers Association, and he is the founder of the Kauai Independent Authors and Publishers Association in Hawaii. Do Libertarians Want Freedom Without Responsibility? This book brings together the easy and joyful principles and practices that are common to all of the major religions of the world. These are what can be used by all people from any culture or tradition for the highest spiritual progress, and to bring about a united, one world religion in a happy process of spiritual success for everyone. This is much easier to recognize than most people think, and is a way to bring down the differences, barriers and separations that seem to exist between religions. 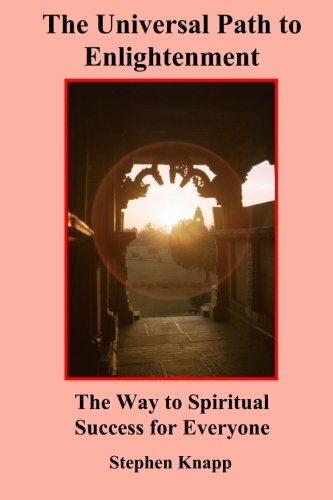 – a most interesting and revealing survey of the major spiritual paths of the world, describing their histories, goals, and how they developed, which is not always what we would expect. – the philosophical basis of Christianity, Judaism, Islam, Hinduism, Buddhism, Zoroastrianism, Jainism, Sikhism, etc., and the types of spiritual knowledge they contain. -how Christianity and Judaism were greatly influenced by the early pre-Christian or “pagan” religions and adopted many of their legends, holidays, and rituals that are still accepted and practiced today. -the essential teachings of Jesus. -benefits of spiritual advancement that affect all aspects of a person’s life, and the world in which we live. -how spiritual enlightenment is the real cure for social ills. 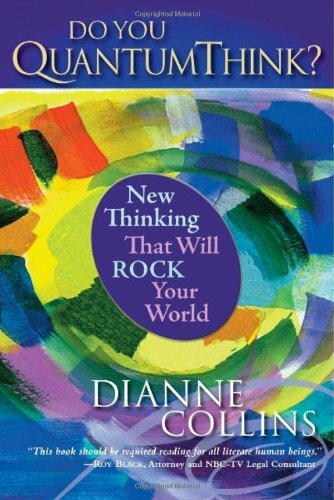 –and, most importantly, how to attain the real purpose of a spiritual process to be truly successful, and how to practice the path that is especially recommended as the easiest and most effective for people of this age. short description of what is Spiritual Enlightenment, and the different levels of understanding, realization, and then perception of the spiritual dimension and how to reach it. In this clip Rupert answers a question about the witnessing position and describes it as a half way stage.